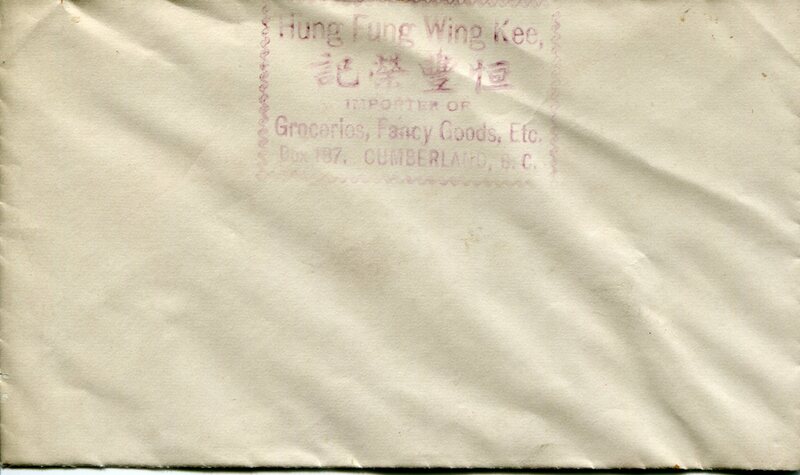 ItemCUMB_987.055.009 - Envelope From Hung Fung Wing Kee Store in Cumberland B.C. Item CUMB_987.055.009 - Envelope From Hung Fung Wing Kee Store in Cumberland B.C. 9 x 15 cm; 1 envelope; paper; white, purple stamp. Some bleeding around the red lines in the paper. Copies in the Chinese file at the Cumberland Museum and Archives.